[PDF] HRC: State Secrets and the Rebirth of Hillary Clinton | Free eBooks Download - EBOOKEE! 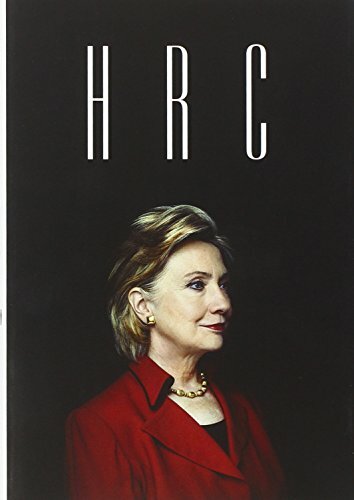 Description: The mesmerizing story of Hillary Clinton's political rebirth, based on eyewitness accounts from deep inside her inner circle Hillary Clintonâ€™s surprising defeat in the 2008 Democratic primary brought her to the nadir of her political career, vanquished by a much younger opponent whose message of change and cutting-edge tech team ran circles around her stodgy campaign. And yet, six years later, she has reemerged as an even more powerful and influential figure, a formidable stateswoman and the presumed front-runner for the 2016 Democratic presidential nomination, marking one of the great political comebacks in history. The story of Hillaryâ€™s phoenixlike rise is at the heart of HRC, a riveting political biography that journeys into the heart of â€œHillarylandâ€ to discover a brilliant strategist at work. Masterfully unfolded by Politicoâ€™s Jonathan Allen and The Hillâ€™s Amie Parnes from more than two hundred top-access interviews with Hillaryâ€™s intimates, colleagues, supporters, and enemies, HRC portrays a seasoned operator who negotiates political and diplomatic worlds with equal savvy. Loathed by the Obama team in the wake of the primary, Hillary worked to become the presidentâ€™s greatest ally, their fates intertwined in the work of reestablishing America on the world stage. HRC puts readers in the room with Hillary during the most intense and pivotal moments of this era, as she mulls the president-electâ€™s offer to join the administration, pulls the strings to build a coalition for his war against Libya, and scrambles to deal with the fallout from the terrible events in Benghaziâ€”all while keeping one eye focused on 2016. HRC offers a rare look inside the merciless Clinton political machine, as Bill Clinton handled the messy business of avenging Hillaryâ€™s primary loss while she tried to remain above the partisan fray. Exploring her friendships and alliances with Robert Gates, David Petraeus, Leon Panetta, Joe Biden, and the president himself, Allen and Parnes show how Hillary fundamentally transformed the State Department through the force of her celebrity and her unparalleled knowledge of how power works in Washington. Filled with deep reporting and immersive storytelling, this remarkable portrait of the most important female politician in American history is an essential inside look at the woman who may be our next president. No comments for "[PDF] HRC: State Secrets and the Rebirth of Hillary Clinton".